This ice house was behind the residence at 452 Cherry Street. Note the fly nets on the horses - made at Wilson‘s Fly Net Factory in Milton. 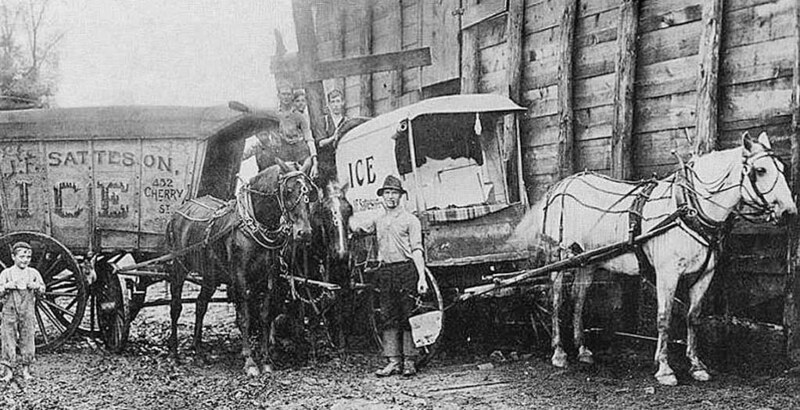 Ice was cut during Winter from several ponds and basins around Milton and stored packed in straw in the ice houses for later sale and use in “iceboxes” that preceded the electric refrigerators we use today.